I stopped to photograph this tiny little rose-bush yesterday. The miniature plant is at the end of our front porch. Mad & Erin, our older set of kids, gave it to me for Mother’s Day when we lived in Joplin, MO. I planted it immediately, but when I found out we were going to sell our house, I dug it up and placed it in a pot. It moved with us to Oklahoma. It was forgotten in the pot. It survived a pretty harsh winter outside. Unbelievable. So that first spring here, I place it in the ground. If you had seen it, you may have tossed it. But I thought it deserved a chance, again, given it’s winter survival. I noticed this spring, it had been over come by other flowers. Frail. I should give up on it. my head said My heart wouldn’t let me. It was a gift from my kids. And so it sits in the front yard at the end of the porch now. Right in view by the chairs where hubby & I sit and sip our summer beverages. Scrawny & still frail. But this rose is a fighter. I’m learning that Roses are. I will keep giving it nourishment. Cause every once in a while, it does something silly, like give me hope. This entry was posted in Uncategorized and tagged Frail Rose, The Rose. Bookmark the permalink. but it is still there ! They are survivors ! Speaking of roses reminded me of your iris contest a few of months ago…..I guessed it would be white with purple edges and you ordered “Better Homes and Gardens” as a gift for me. Well I have gotten it for 2 months now, and neglected to thank you for it. “Thank you Miss Paula!” and that pink rose is a sweet survivor, as we hope and pray little Rosalie will be. 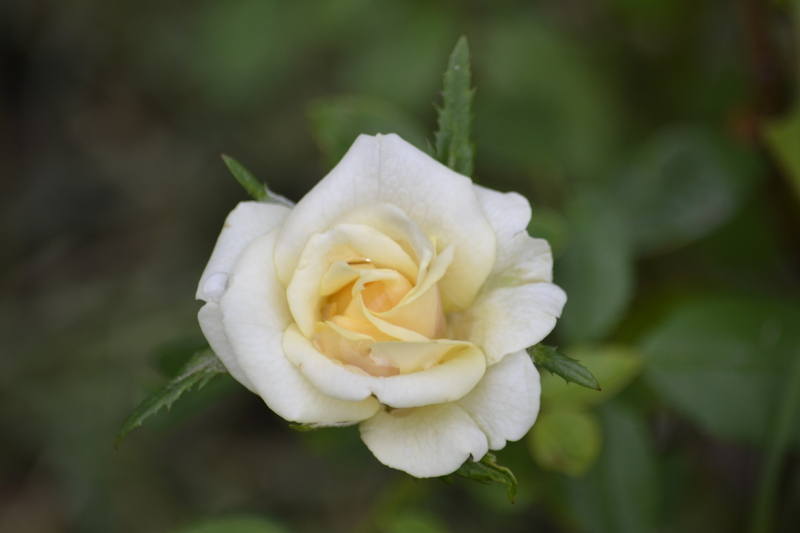 What a lovely story of your rose… and it looks so beautiful… You have a gift Paula… and prayers for Rosalie…..
Inalways have special place in my heart for people, animals, and plants who simply refuse to give up. Thank you for this post. I’m rooting for your rose!